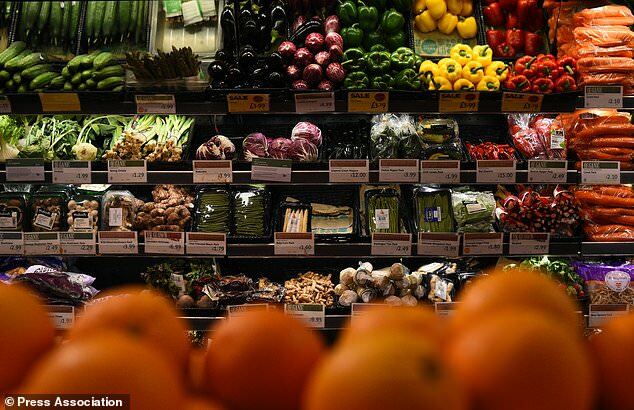 The price of some supermarket fruit and vegetables has gone up as the effects of the heatwave combined with the cold spring flow through to shop shelves. The average supermarket price of broccoli is up 25.8% per kilo year on year to £1.54, figures reported by The Grocer from analysts Brandview show, after growers warned that high temperatures meant brassica heads had stopped growing. Salad has also been affected by price hikes, with an iceberg lettuce now 52p on average in the major supermarkets, up from 49p at this time last year, while a pack of two Little Gem lettuces is 4.6% more expensive at 75p, the trade publication reported. The weather has also affected potato crops in the UK, but supermarket prices are down on last year, with a 2.5kg bag of white potatoes now 5p cheaper year on year at £1.38 on average and a 2.5kg bag of Maris Piper potatoes down 5% to £1.83. The Agriculture and Horticulture Development Board (AHDB) estimates that the total area in Great Britain planted with potatoes is down 3% on last year – the third-lowest figure on record. A pack of five Braeburn apples is 3p more expensive than last summer at £1.32 and a 400g punnet of strawberries is up by 3p to £1.91, The Grocer reported. Rachel Lund, head of insight and analytics at the BRC, said: “At this time of year, a lot of fresh food we eat comes from the UK. The hot weather has reduced yields in fruit and vegetables particularly.